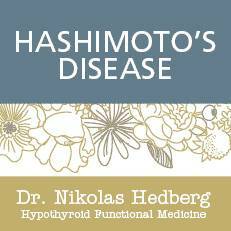 Hashimoto's disease Archives - Dr. Nikolas Hedberg, D.C. In this episode of The Dr. Hedberg Show, I interview Jill Grunewald on the best foods for healing Hashimoto’s disease and Alopecia. Jill has an excellent cookbook called the Essential Thyroid Cookbook with many excellent recipes to help you heal. We talked about all the various dietary approaches out there for autoimmune disease including their pitfalls and how to get around feeling worse. We also discussed the autoimmune paleo diet, ketogenic diet, low-carbohydrate diets, ferritin, and hypothyroidism. And we even got into the controversial topics of iodine, goitrogens, and vegan and vegetarian diets. I really appreciate Jill’s common sense approach to these topics so this is one interview you definitely don’t want to miss.